Finding the best identity theft protection tools for your needs. If you pay any attention to news alerts, then you’re probably painfully aware of all the threats your personal data. You’re probably also on overload from all the offers for ID theft protection. So, what exactly is the best way to protect yourself? And what are the best tools for identity theft protection? Don’t know what one of these terms means? Find a full reference guide to the 5 types of identity theft to understand each threat you face. Debt.com’s Identity Theft Protection tool can help protect you and your family from identity theft. Sign up today and try it free for 30 days. 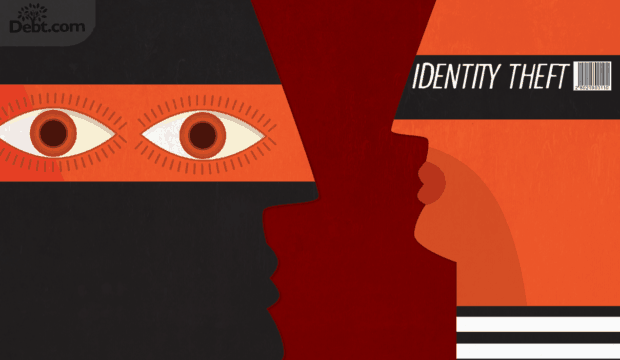 What’s the best way to prevent identity theft? Take all the proper precautions you can to avoid making yourself a target. This includes keeping PINs safe, changing passwords, and shredding documents before you throw them away. Take advantage of all free tools offered to prevent identity theft. There’s free annual credit reports, free credit freezes and services like mysocialsecurity.gov. Depending on what accounts you have, you may also have free debit or credit card fraud protection and even free credit monitoring. Decide if you need any paid protection services. Credit monitoring is extremely useful for several reasons, including identity theft prevention. If you don’t have access to a tool for free, there are a variety of tools available that you can purchase. You also need proper antivirus software for your computer. Debt.com created a detailed guide for How to Prevent Identity Theft that goes into more detail on each of these three key steps. It explains how to protect your identity on an ongoing basis to minimize your potential to become a victim. One easy (and free) way to proactively protect your identity is by taking advantage of free credit freezes. In 2018, credit freezes became 100% free for all consumers nationwide. The credit bureaus are required to provide a convenient means for freezing and unfreezing your credit report at no charge. Credit freezes lock down your credit report and prevent any credit checks while the freeze is in place. You can unfreeze your report when you want to apply for a loan or credit card and then freeze it back. Identity theft statistics show that half of ID theft crimes go unnoticed for at least a month. One in ten incidents goes unnoticed for more than two years. 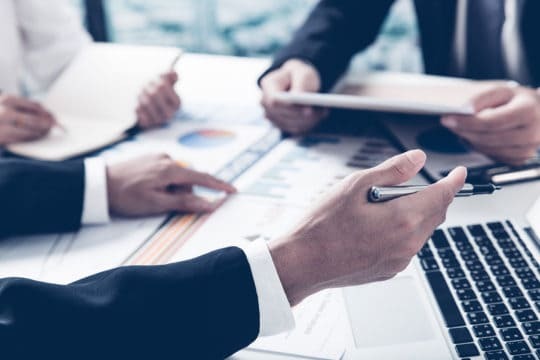 The problem with those statistics is that reporting ID theft promptly can be the key to minimizing out-of-pocket losses. First, you need to be aware of the warning signs of identity theft. There are 15 financial signals that can tip you off to different types of identity theft. But with today’s technology, you don’t need to sit around and passively wait for these signals. Through your account provider (bank, credit union or credit card company) Alerts you anytime there is suspicious activity on your account or you can contact the provider if you notice suspicious activity. Aside from using identity theft protection tools, there are some easy ways to recognize if you’ve become a victim of identity theft. Debt.com assembled a list of 15 early warning signs that you can use to catch identity theft quickly. Remember, the earlier you spot ID theft, the easier it is to avoid out-of-pocket expenses. While we designed this page provide general information about ID theft protection, there’s a lot more to cover when it comes to specific types of identity theft. Debt.com has created targeted guides for helping you understand specific threats and how to handle them. One specialized type of identity theft that happens when your Social Security number gets compromised is tax identity theft. This occurs when someone files taxes using your number and gets your refund before you can. We explain how to avoid and address tax ID theft. If someone gets their hands on your insurance information, they can use your insurance to get procedures. Then your health insurance claims can be rejected because your policy is already maxed out. Learn how medical ID theft happens and what steps to take if you think you’re a victim. While someone stealing your Social Security number may be the most damaging threat, unauthorized account use is the most common. Credit fraud happens when someone accesses and uses your existing credit card accounts or opens accounts in your name. Understand the two main types of credit fraud and how to monitor your credit report to protect your identity. The Internet is immensely convenient, but it’s also dramatically increased the identity threats that consumers face. Protecting your identity online is crucial, whether you’re shopping, banking, or emailing. This guide explains all the cyberthreats you face and how to prevent them. A new group of threats to your personal information revolves around social media. Someone hacks your accounts, steal your information to impersonate you, or access to your account information to get secure data. That puts more than just your reputation at risk. Debt.com explains all the threats you face, and how to protect yourself and your children on social media. Corporate and government data breaches have become a leading cause of identity theft in the past few years. There’s little you can do to prevent this type of theft because you can’t control a company’s security protocols, but there are ways to monitor for data breaches, so you can react quickly when they occur. Article last modified on February 22, 2019. Published by Debt.com, LLC .